The primary goal of this group is to bring people together to practice meditation and provide the opportunity to meet other meditators. Our center and temple has a community room to talk with and share experiences with other like-minded individuals. 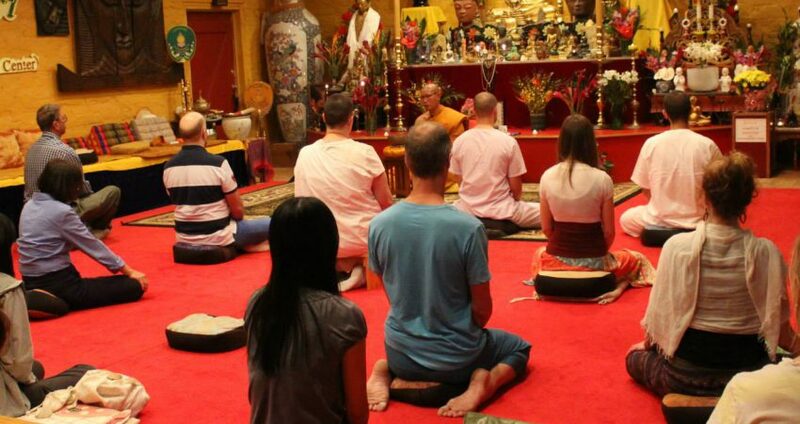 We would like to encourage our friends out there, who are interested in the Buddhist meditation practice of being mindful and peaceful, to join us. We believe that mindfulness makes our everyday life more effective, productive, and fulfilling. By developing mindful practice, you will gain a deepening understanding of your own mind, and insight into how you react to, and interact with, the world around you. You will meet many wonderful and unique people, and will have the opportunity to build relationships with like-minded people. “The Way of Mindfulness Meditation of Tucson” is open to everyone. Our meeting consists of meditation practice rather than a discussion. If you are new to meditation or just starting your practice, we recommend attending the 6:00 p.m. session on Tuesday and Saturday where you will be gently guided through a basic mindfulness technique.